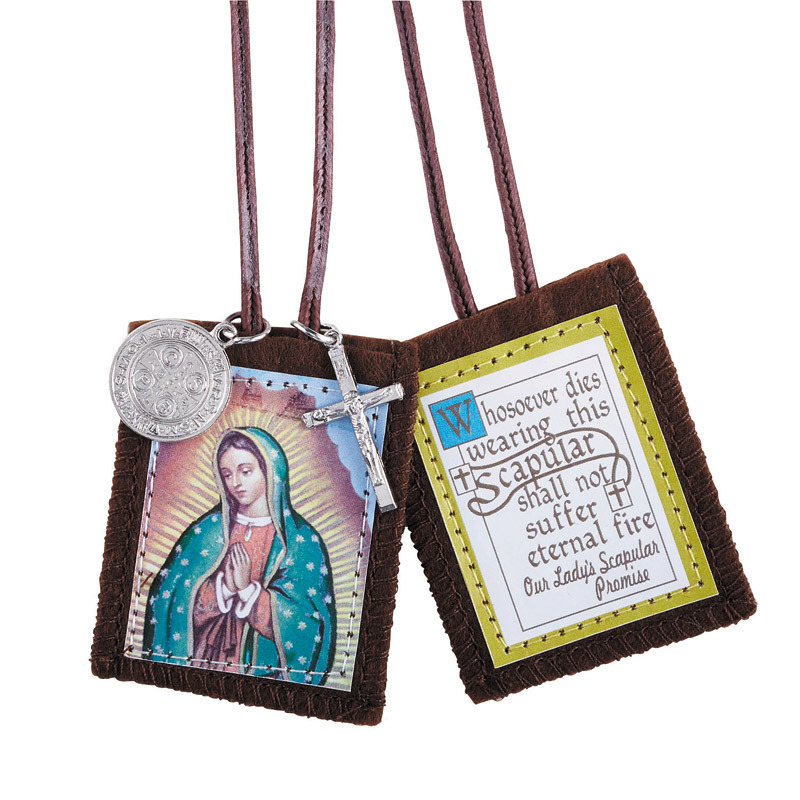 View Large Image FINALLY-A SCAPULAR THAT CAN BE WORN 24 HOURS A DAY! 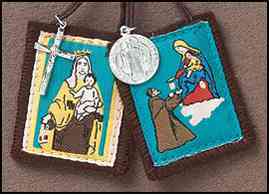 NO NEED TO EVER TAKE IT OFF, THIS UNIQUE BROWN SCAPULAR FEATURES FULL COLOR IMAGES ON WOOD ON THE FRONT WITH LAMINATE FABRIC ON THE BACK. THIS WAY THE SCAPULAR STAYS CLEAN AND DRY THROUGH SHOWERING, SWIMMING, ETC. STRONG FABRIC STRING IS STURDY, YET THIN AND HARDLY NOTICEABLE. 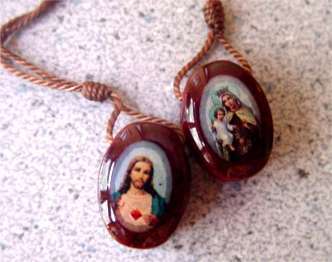 FOR THE BROWN SCAPULAR DEVOTEE- THIS IS THE ONE YOU HAVE BEEN WAITING FOR � NO MORE LOST AND MISPLACED SCAPLUARS. OUR LADY�S PROTECTION IS WITH YOU ALWAYS. OVAL SHAPED, ALSO AVAILABLE IN ROUND AND HEART SHAPED.